Ecomega, one of the leaders on the international construction tyre market, have introduced a new set of tyres for construction vehicles, such as backhoe loaders. Ecomega superlug tyres are a result of the use of the best technologies currently available on the market and highest expertise of Ecomega’s engineers. Thanks to many years of thorough research, Ecomega’s experts have created a new set of superlug tyres that guarantee maximum reliability and exceptional performance, anytime and anywhere, even while operating under the most challenging environmental conditions worldwide. If you are looking for a new set of high quality set of tyres, look no further. Ecomega offers the best solution on the international tyre market. Massive tread block of Ecomega superlug tyres guarantee maximum productivity of any construction operation, anytime and anywhere. Thanks to their newly improved tread design, Ecomega superlug tyres feature exceptional tyre life, even if operating under the most challenging environmental conditions. 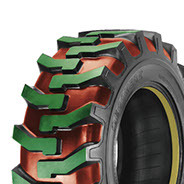 Extra deep tread guarantees maximum traction at any time, even while operating on the toughest types of surfaces, such as wet or muddy soils. Ecomega superlug tyres also feature heavy-duty carcass and reinforces sidewalls that guarantee improved resistance against all sorts of accidental damages, such as ruptures and cuts. Maximum safety is guaranteed at any time and anywhere. Another great feature of Ecomega superlug tyres is their improved self-cleaning capabilities, especially while operating on muddy or wet surfaces. Thanks to their highest efficiency, Ecomega superlug tyres will improve your vehicle’s productivity over time. 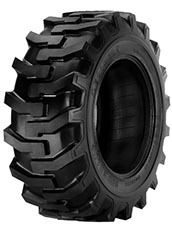 Ecomega superlug tyres are the best high quality choice for construction vehicles available on the international market. Thanks to many years of dedicated research and the use of the most advanced technologies currently available, Ecomega superlug tyres guarantee exceptional performance, maximum safety and comfort anytime and anywhere, even while operating on the most challenging surfaces worldwide.